For someone as widely known as the late Prince Rainier III of Monaco, many people have an inaccurate impression of the man. Part of this is undoubtedly due to his association with his country. Monaco, for all of its charm and glamour, has long been known as a center of gambling, a place where fortunes are lost, a tax haven and, as has been famously stated, “a sunny place for shady people”. Because of this background, his family history, his wealth and perhaps his movie star wife, Rainier III is often thought of as a man of possibly less than impeccable character. Some have portrayed him as an unscrupulous, Mediterranean rogue while others have portrayed him as a simple, uncouth man who, in the words of Peter Kurth, “would rather watch television and eat pizza in his underwear” than go to parties. True enough, Rainier III took his royal duties more seriously than the society pages (he being one of the few remaining monarchs expected to actually rule his country) and he did not like the shallowness and snobbery of the jet-set elite he is so often grouped with. However this negative image of Prince Rainier is quite unfair and quite the opposite of the truth. 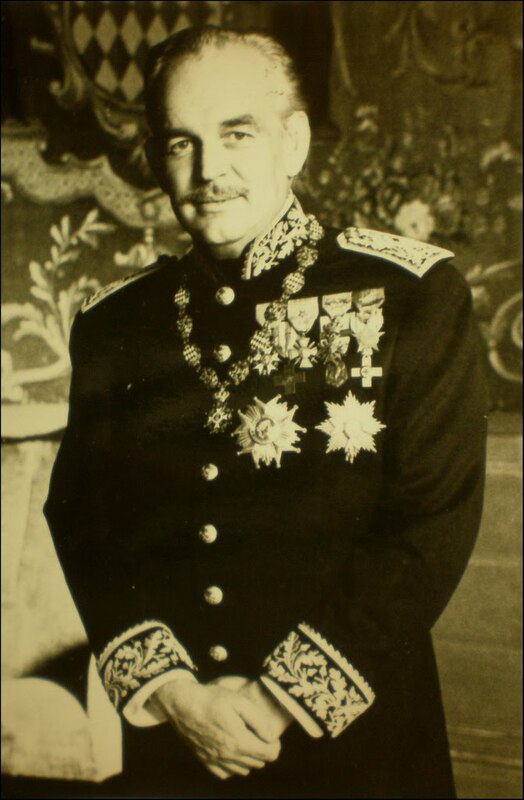 People go through subtle changes in their lives but taken as a whole Rainier III was, contrary to what most people think, a man devoted to his country, his family and his faith. In the first place, he was the first Prince of Monaco in quite sometime to make Monaco his primary residence. He wanted to live amongst his people and very much saw the native Monegasque population as one big extension of his own family. Foreign settlers and visitors were always welcome of course, but the Monegasque were his people and he was theirs. In fact, part of the reason for the famous clash between Rainier III and Aristotle Onassis was that Rainier III wanted Monaco to be a tourist destination that welcomed people from all classes of society rather than catering exclusively to the super-rich. Much of what many took for aloofness with Rainier III was actually shyness, which was part of his character from childhood. He preferred things more formal and ‘by the book’ because he was often uncomfortable dealing with people in an informal, familiar setting. He was a genteel man but also down-to-earth, as comfortable with the courtly ceremony of the palace as he was making pancakes for his children for breakfast at their home in the country. The Prince of Monaco was also a very religious man, an aspect of his character that is certainly not often talked about. When he came to the Monegasque throne upon the death of his grandfather Prince Louis II, one of his very first acts was to go to Rome to receive the blessing of Pope Pius XII upon his reign. One of his closest friends and probably his most trusted advisor was Father Francis Tucker, an American priest the Vatican had assigned to the Prince to be his spiritual advisor. When he began to seriously search for a wife the Prince went on a pilgrimage to Lourdes to, as he told his spiritual advisor, seek the help of the Holy Virgin in finding the right wife and princess consort. The result, of course, was his marriage to Grace Kelly (whose patron saint was the visionary of Lourdes as it turned out). Prince Rainier even sought the advice of the Pope himself on religious matters from time to time and he donated 4,500,000 francs to the Church every year. When reforming the constitution of Monaco he also specifically forbid abortion in his realm for any reason. Despite the aura of permissiveness that most seem to assume regarding Monaco and the House of Grimaldi, while certainly not prudish or saintly, Rainier III always had very traditional values. Some failings he could overlook as natural if unfortunate but he was quite intolerant of flagrant immorality and perversity. Unfortunately, this is all too often forgotten today or reduced to a simple statement about the Prince not approving of homosexuality or the cause of “gay rights”. He was extremely distraught over the private lives of his daughters, such as the expected divorce of Princess Caroline from Philippe Junot and he went to great lengths to ensure that everything was done correctly according to the doctrines of the Catholic Church, finally obtaining (belatedly) the annulment he had long sought for her which legitimized her children by Stefano Casiraghi, placing them in line for the Monegasque throne. As much as he adored his daughters, his traditional views did at one point force him to shun Princess Stephanie for her behavior, though thankfully the two were later reconciled and became closer than they ever had been. Finally, as stated above, Prince Rainier was a committed family man. He had a short temper at times and could sometimes be short with Princess Grace but he was a devoted husband and father. Gossip-mongers tried their best to imply that he was an unfaithful husband, even manipulating photographs to show him sitting closer to some pretty woman at a party than was reality. In truth, no such thing ever happened and any honest witness could see the subtle signs that the marriage of Grace and Rainier remained strong throughout their years together. He adored her from start to finish and upon her death was heard to lament, “My life will never be the same…Without Princess Grace none of it matters for me now. It’s all meaningless. My God, it’s all meaningless”. He was much more active father than he often gets credit for, particularly in regards to his son. The true character of the Prince in this regard is not hard to see if one takes into account his own painful youth. He was deeply torn by the failed marriage of his parents and the bitter feelings between them. He knew how much this hurt him as a child and he was determined, from the first time he started seriously seeking a wife, that for his family things would be different. He wanted his children to have a more stable, loving and traditional family and family support than he had growing up. He did not want to repeat the mistakes of the past. Of course he could not control the lives of his children, he recognized when mistakes were being made and there was never any doubt about when he was displeased with their occasional behavior. In the rush to criticize it is also easy to forget that, at the end of the day, Grace and Rainier did raise three generous, compassionate and good-hearted children. At the end of the day, despite the impression many have, he was a devoted and loving father, a faithful husband, a defender of traditional values, a staunch Catholic, conscious of his position as sovereign of a Catholic monarchy and, as a sign of how he was viewed by the Church, one of the very few members of the Papal Order of the Golden Spur, the oldest papal order in Church history. He was not pure and perfect in every way, no one is, but the impression many seem to have of him is certainly far from accurate. The real Prince Rainier was, overall, an upstanding man and monarch. This was *very* interesting, as most accounts of him I had seen presented him, as you say, in quite a negative light, either as a decadent libertine or as a grim and unmannerly type. A good corrective to all the comments one hears, like, "Rainier did not deserve Grace," etc. I'm very glad you liked it and it was one of your comments that put the notion in my head to write it up. I often think Rainier III does not get enough credit, both for the kind of man he was and for the kind of ruler he was. He might have been "luckier" to have Grace than she him (though I say that with some bias -she was a woman who could present such a perfect image as to drive a man to idolatry), *howeve* I think she was also very lucky to have him. None of the Hollywood types she'd been connected to in the past could have given her the stable family life she enjoyed nor do they have much of a reputation for faith and fidelity. Rainier adored her in a way I don't think anyone else would or could have.